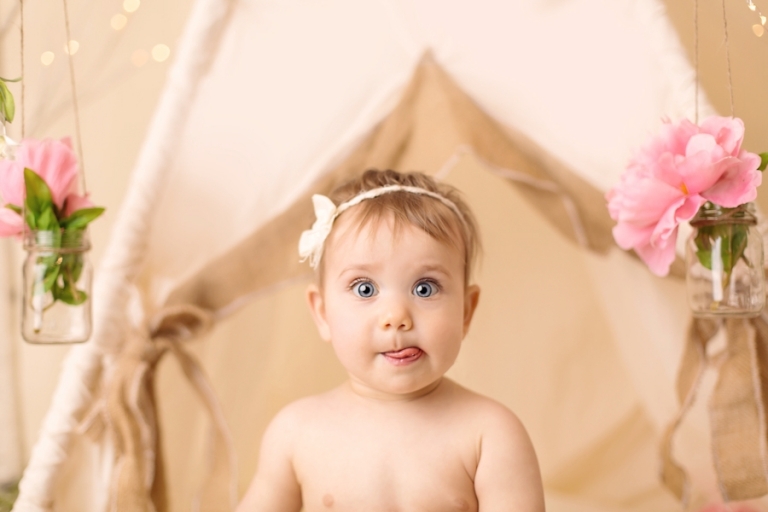 Adeline’s Cleveland cake smash session was a smashing success! 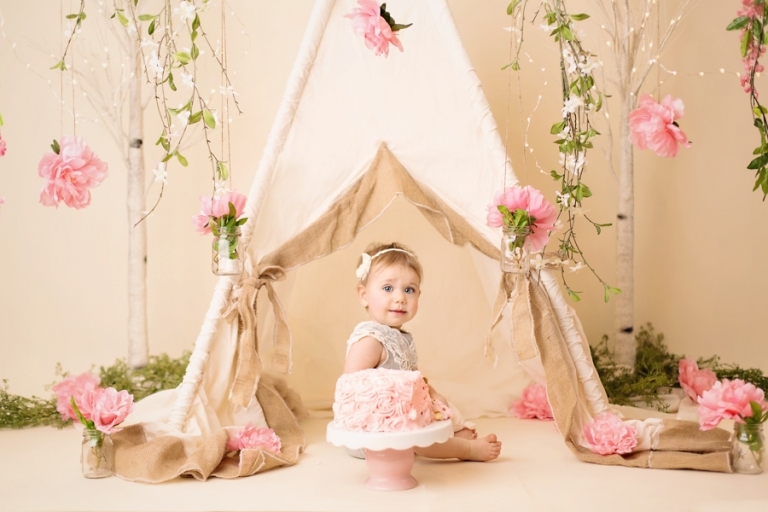 Little Miss A came in for her 12 month session and her momma requested a shabby chic garden tea party themed set. Creating custom sets is one of my most favorite things to do and this set may be one of my all time favorites! 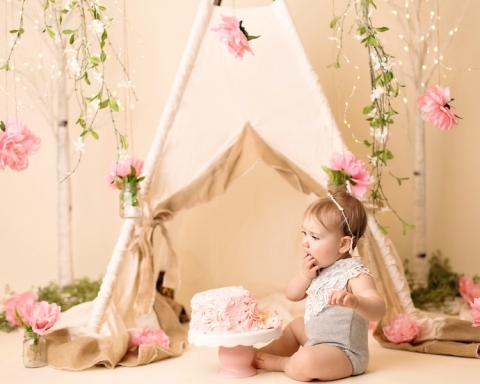 Some of the things that I take into consideration when creating sets are not only the first birthday theme, but also how your home is decorated. After all, the end goal is always wall art, so we definitely want it to look cohesive and gorgeous hanging on your wall! The gorgeous rosette cake came from A Cupcake A Day in Medina Ohio. Shawna is my go to cake gal, she is so easy to work with and her cakes are always amazing! Sitter and cake smash sessions always have wardrobe included, how easy is that? This onesie is from Auspicious Laundry, right here in Cleveland Ohio! Yum! I think that cake is good! Right??! Thank you so much for stopping by! Please take a moment to look around the blog and website, I would be happy to chat with you about creating a custom session for you! Looking for a Cleveland cake smash session? 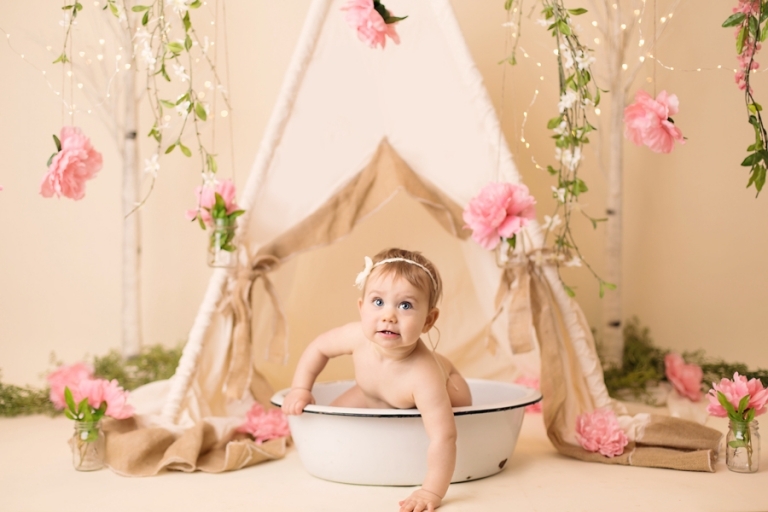 You can check out the baby portfolio and contact Mary at mary@marychristinephotography.com to schedule your little one’s first birthday session.